Logi-Serve OnDemand takes the guesswork out of employment decisions. 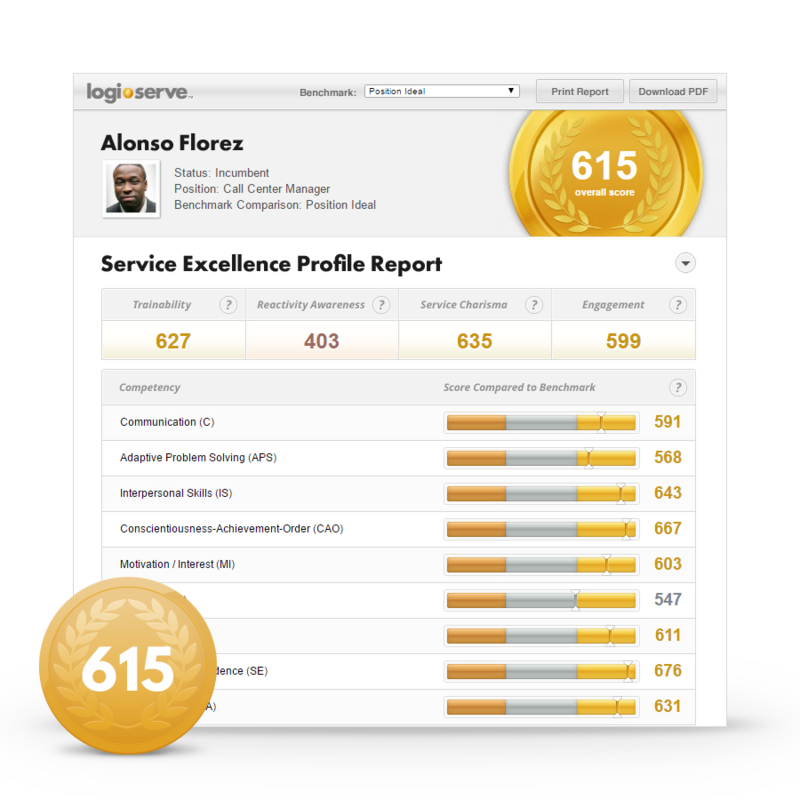 Logi-Serve predicts job fit, performance, and business outcomes using a simplified, easy-to-interpret gold, silver and bronze medal classification system. 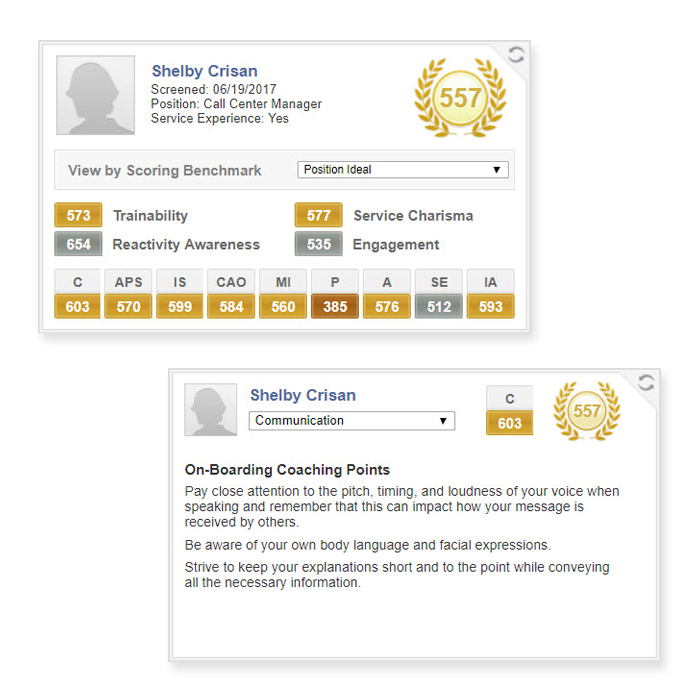 Numerical scores are also available, allowing you to rank order and prioritize candidates. The Logi-Serve competency framework predicts and develops sales and service aptitude. The framework stems from decades of case study evidence linking specific competencies to performance and financial impact in small, mid-size and enterprise customers. See how your candidates and incumbents rate on overall ability as well as each individual competency. 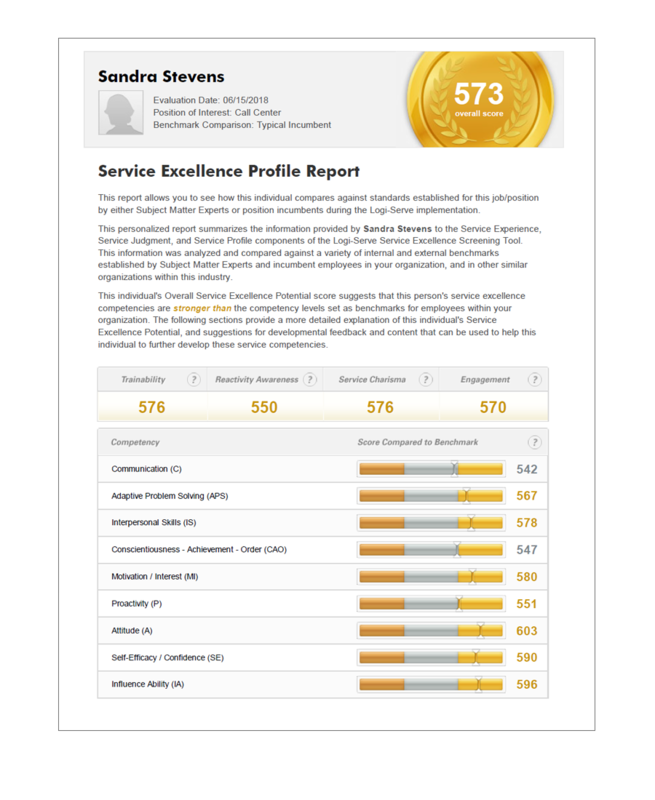 Logi-Serve OnDemand scores assessments and generates reports instantaneously based on candidate responses to the assessment. The system score compares candidates to the same “successful” combination of competencies as found in other high-performing employees in similar roles.